The all-new SMASH 7 is the all-mountain powder ski for progressing freeriders. 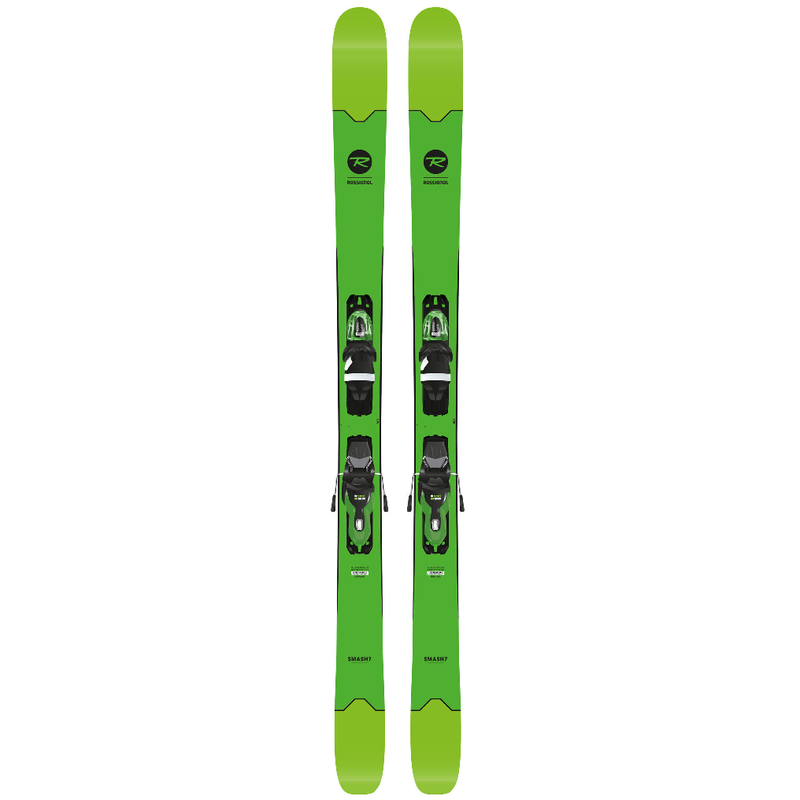 Delivering the 7 Series’ award-winning blend of versatility and float, the SMASH 7 features an accessible, lightweight construction for enhanced agility and Rossignol’s exclusive Powder Turn Rocker profile for effortless freeride performance. CENTERED SIDECUT: Centered Sidecut consists of a short, deep sidecut radius directly underfoot, delivering confident power and edge grip right where you need it, while releasing the extremities of the ski for easy steering and playful maneuverability. POPLAR WOOD CORE: Poplar wood cores provide a good balance of weight, dampness, and elasticity for a versatile blend of power, agility, and playfulness. POWDER TURN ROCKER: Designed for the deepest powder days, our progressive POWDER TURN ROCKER profile features: longer, lower tip rocker, a tapered tail profile, and traditional camber underfoot, delivering effortless flotation, instant speed control, and the power, energy, and grip to get you back to the lift.